curriculum, and that is always a fun time. had a big job ahead of me (and it is still not done!). room, but that is now our dining room. Am I confusing you yet?! when they work on anything, so if they have extra space, they end up using it. crayons, markers, extra pencils etc. crate, and that has worked well to keep everything contained. piano, art, music appreciation, money management, etc. add more to the mix. likes to grab any book she can find and rip pages out. The room is pretty tidy right now, which is good. It is never a picture perfect room, in order to do that I would have to stop life for a while to stage such a picture – not going to happen. 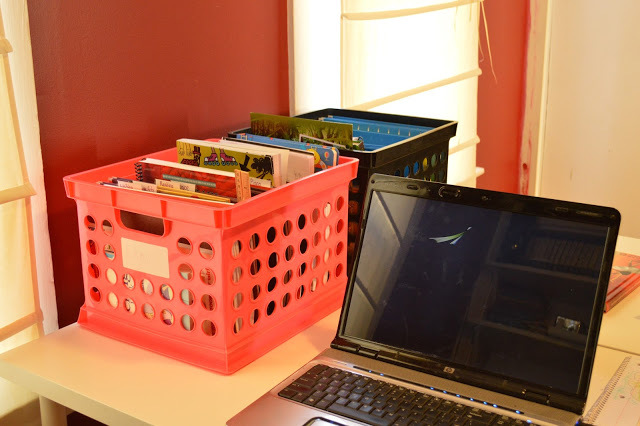 But, the books are in order, the homeschool supplies are contained (albeit still in a laundry basket), and it is working! probably because those rooms are warmer! 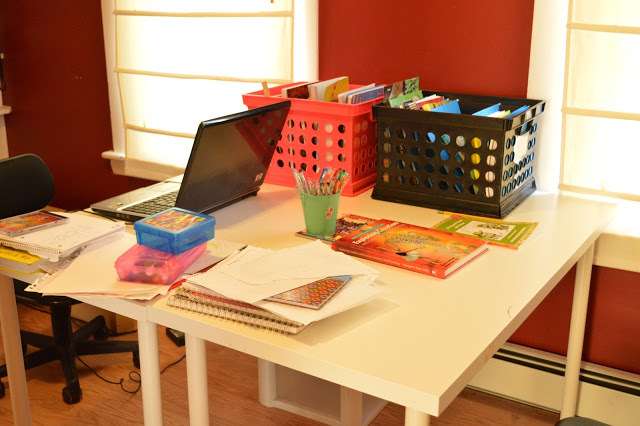 kids are in public school, do you have a space that they use for homework? 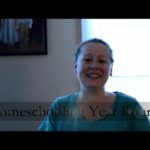 Homeschooling is definitely something that I admire that people do. There is no way that I could do something like this myself. Awesome setup! 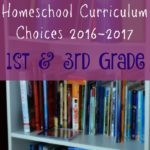 I've always been under the impression that home schooling requires a lot of material, and I'm not proven wrong in this case. 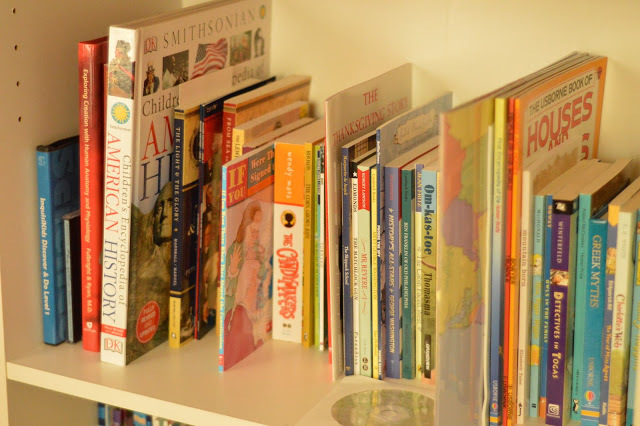 I bet it's even more important to make sure that things are kept in neat storage units especially in a home school! 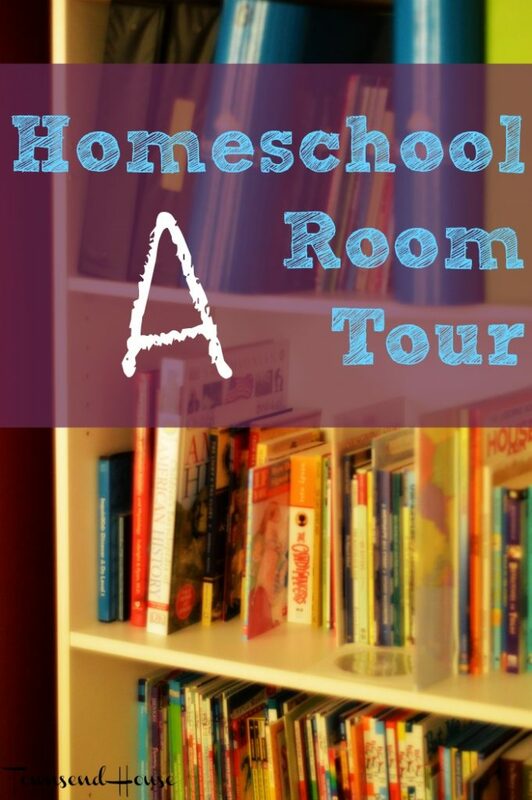 Love your room and ALL THE BOOKS! I have a love of all things school supply related. This looks like a proper class and it seems like a kid would be able to concentrate better. You did a great job! I love how you kept it colorful and bright for the kids. 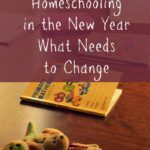 I'm thinking of homeschooling for my son! I am currently renovating the house as well. 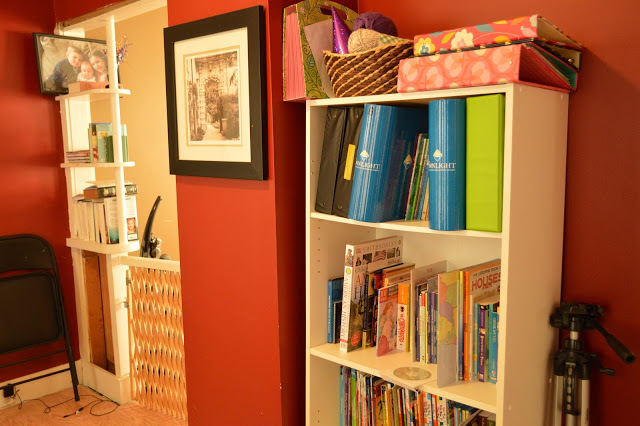 You can't help it, as your family grows you would have to rearrange a lot of things in the house and sometimes that also means interchanging the rooms. 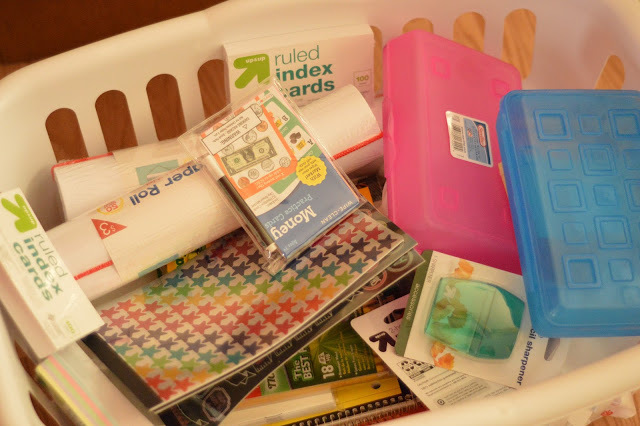 Ahh, all the supplies, reminds me of my old homeschooling days! 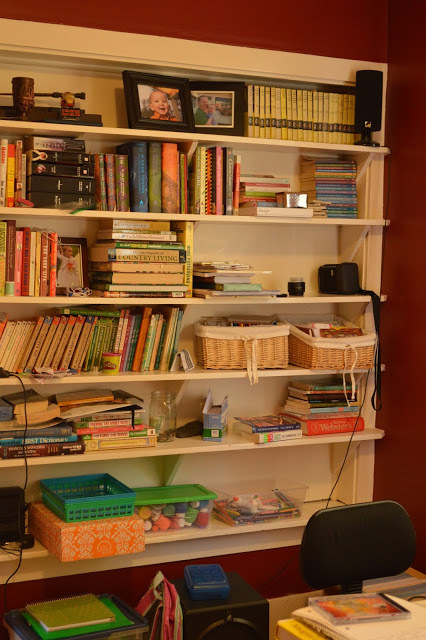 I would love to have a dedicated learning space. This looks absolutely amazing. You are so organized! I love your little school! It looks like a great place to learn. I hope you have a good year. This looks great! I love all the shelves. 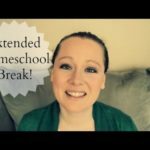 We don't homeschool, but as the kids get older, we do need a more dedicated space. These are some great ideas. I wish I had a dedicated space but that unfortunately is in my box room. Still I manage to get a lot of work done nevertheless.